There aren't a lot of guys in sports let alone the NBA like Rajon Rondo. He has a game unlike most others of his generation, he doesn't let the media get a great sense of what he's like off the court, and has had a series of controversial moments in his NBA career. Is he just a strong willed guy who only cares about winning? Is he a cocky guy with a sense of entitlement that doesn't allow him to be approachable? We've taken it upon ourselves to determine if he's a badass or a jackass as we take a look at some of his epic post season performances, his ref incidents, the beef with Ray Allen, and that epic cameraman fail. 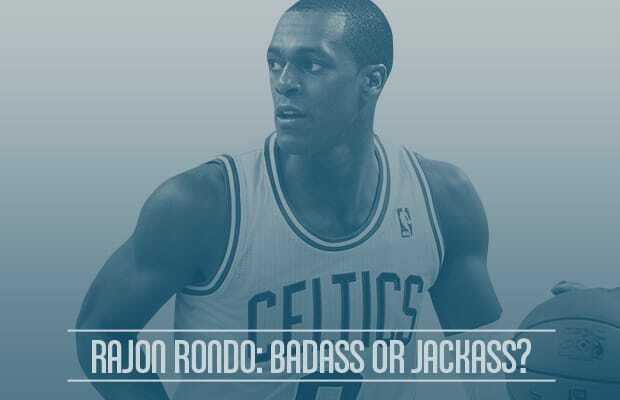 So, peep his track record and determine if Rajon Rondo is a badass or jackass. RELATED: Cam Newton: Badass or Jackass?